Joseph Cook became Australia's sixth prime minister after the Liberal Party won the 1913 election. Joseph Cook's political opponents often pointed out to him what they considered to be the fluid nature of his political principles. Cook had gone on a journey from trade unionist and Labor Party member to Commonwealth Liberal. Cook himself saw this as a natural progression for a self-made man. Cook arrived in Australia in 1885 to join his brother-in-law to pursue mining prospects on offer in Lithgow, New South Wales. Cook soon became involved in union politics and in 1891 won the seat of Hartley in the New South Wales Parliament for Labor and became party leader in 1893. This soured quickly after Cook accepted a ministry from his political opponent Free Trade Premier George Reid and he was denounced as the first of the Labor ‘rats’. Cook won the seat of Parramatta and entered the first Commonwealth Parliament in 1901. In 1908 Cook succeeded Reid as leader of the Free Trade Party and, in a significant achievement, secured ‘Fusion’ with Alfred Deakin’s Protectionist Party creating a single anti-Labor force. After Deakin retired Cook became leader of the Commonwealth Liberal Party and won the 1913 election, but with a majority of one his term in office was short-lived. Cook came to the fore again when Labor split over conscription, becoming deputy leader in the Nationalist government of Billy Hughes. He resigned in 1921 to take up the position of High Commissioner in London. On 1 July 1913 control of all Royal Navy property and establishments in Australia are transferred from Great Britain to the Commonwealth. On 19 December 1913 the Norfolk Island Act transfers Norfolk Island from British to Australian control. On 19 December 1913 the Royal Commission on Powellised Timbers was established. It was to enquire into all contracts relating to supply and treatment of sleepers supplied for the construction of the Trans-Australian railway. Great Britain declares war against Germany on 4 August 1914 and Australia, as part of the British Empire, sends a message on the same day offering up to 20 000 men. The Cook Government won the 1913 election with only a single seat majority in the House and was decisively outnumbered in the Senate. Cook knew it was unlikely he would be able to enact his legislative program and sought a double dissolution election to break the deadlock. As part of his strategy to provoke Labor resistance in the Senate he proposed legislation to abolish preferences for trade unionists in government employment and a plan to reintroduce postal voting for federal elections. 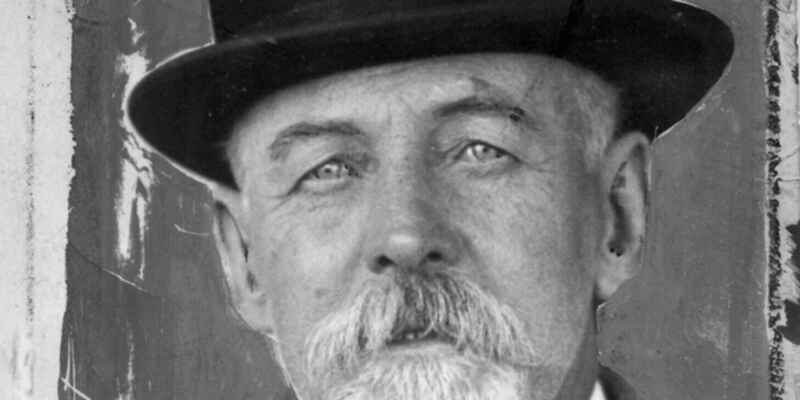 After the Senate rejected the Preference Prohibition Bill for the second time, Cook put his case for a double dissolution to the Governor-General Sir Ronald Munro-Ferguson. At that point the vice-regal discretionary powers had not been tested and Munro-Ferguson sought the advice of the Chief Justice Sir Samuel Griffith. Cook was granted the first double dissolution of Parliament on 8 June 1914 and the election was set for 5 September 1914. The upcoming campaign would be dominated Australia’s entry into the First World War. Cook led his Free Trade Party into ‘Fusion’ with Deakin’s Protectionist Party in 1909 to form an anti-Labor political alliance which becomes known as the Commonwealth Liberal Party. Billy Hughes took great delight in mocking the coalition of the two former enemies, dubbing the union the ‘Confusion’. After Deakin resigned the leadership of the Commonwealth Liberal Party in 1913, the divisions between the Free Traders and Protectionists erupted again. Cook won the subsequent leadership ballot against Protectionist Sir John Forrest by a single vote. Cook, in both his short term as prime minister and again as opposition leader, committed his party unreservedly to the war effort. A part of Cook’s legacy is his role in shaping the infant party system, in particular guiding the formation of the early anti-Labor movements. Papers of Sir Joseph Cook, 1880-1986. Cook developed a great affinity for the Royal Australian Navy. 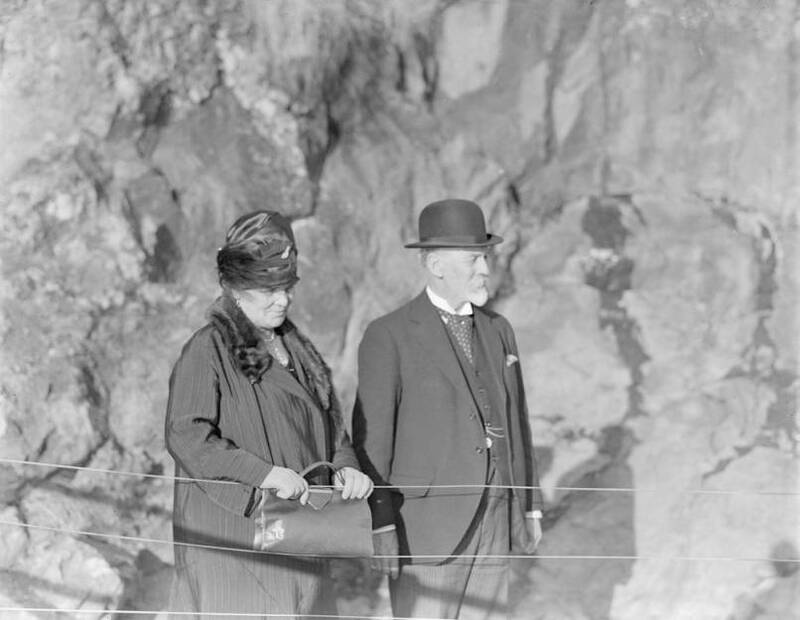 As Defence Minister in 1909 he negotiated with Great Britain the agreement that established the Australian Navy. 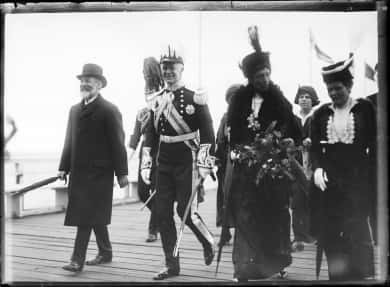 A proud Prime Minister Cook was present on 4 October 1913 when the Australian naval fleet, led by the battlecruiser HMAS Australia, arrived in Sydney Harbour. The fleet had been created in just four years and was a source of great national pride. Newspapers proclaimed the fleet formation as historic, a coming of age moment to be ranked alongside Federation itself. An estimated crowd of 200000 people lined the best vantage points to welcome the fleet, a public holiday was declared, public buildings were adorned in flags, bunting and garlands, and there was sales of commemorative keepsakes. Cook confidently stated in his speech to mark the occasion, ‘Surely the omens are propitious for the naval future, which we face with the hope and optimism of a young, puissant nation.’ Cook continued his relationship with the Australian fleet as Minister for Navy in the Hughes government. The future is full of pitfalls and dangers. Who shall guide you through and past them - the Liberals with their age long experience, or their opponents, with their unproved panaceas.